Made the Late Show Top Ten Contest again. 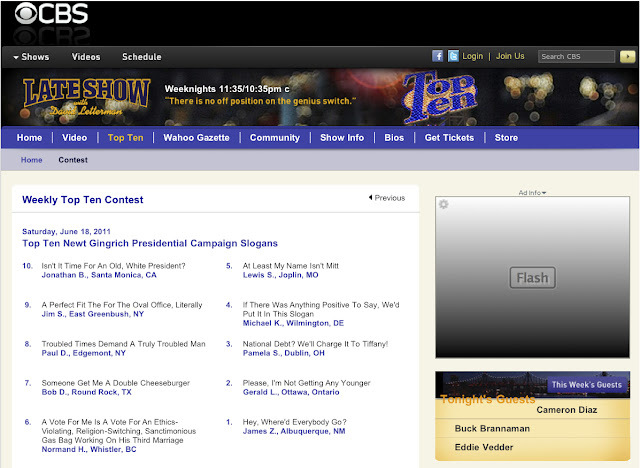 The category was Top Ten Newt Gingrich Presidential Campaign Slogans. I actually thought I had a better entry: "I love America... but I'm not, like, married to it." This is my sixth time on the list.